Matika Wilbur (Swinomish/Tulalip) is unique as an artist and social documentarian in Indian Country. As one of the Pacific Northwest’s leading photographers, she’s exhibited extensively in regional, national, and international venues. Apartment cleared out and belongings packed into her “war pony,” Matika set out on an epic adventure to capture the tenacity, richness, and contemporary beauty of every tribe in the United States. “Matika” means “messenger” in her tribal language, and she is living up to her name through Project 562. Her goal is to photograph positive indigenous role models and shift the narrative in mass media from stereotypical to true representations of Native people today. The most widely accessible way to share the beauty of Native cultures and magnitude of lasting traditions is through the Project 562 website. Other funding sources, including the Surdna Foundation and individual donors through Kickstarter, keep Matika on the road. She’s using her First Peoples Fund Cultural Capital Fellowship for the website development. In order to maximize impact, it’s essential Matika release new portraits and stories as they are collected. She especially wants to give children the opportunity to see themselves differently and imagine a life that includes equality, justice, hope, and beauty. These are the stories that live within Project 562. 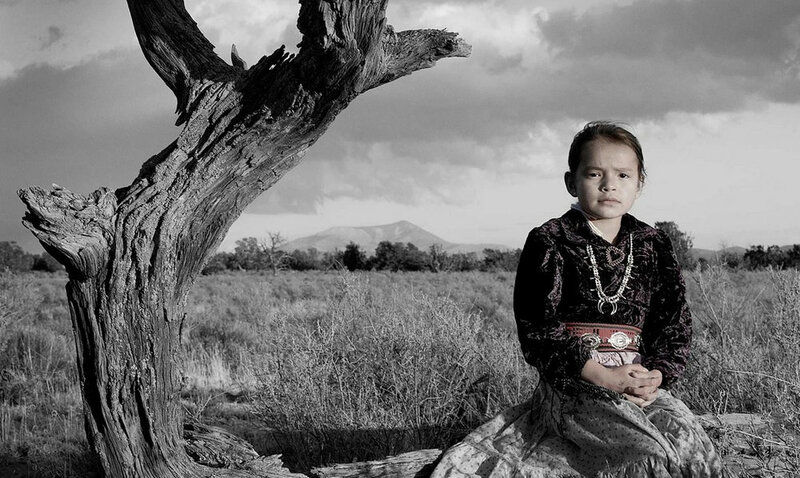 Matika has photographed over 350 Native tribes to date. She captures the photos on traditional black and white film shot in the zone system, a method developed by Ansel Adams to increase tonal range. After development, the image is printed on silver gelatin fiber where Matika hand colors it with oil paints. Her process honors the traditional artisanship of black and white photography. With national and international exhibitions, an active social media following, speaking engagements at major universities across the country and TEDx talks, a book and a collection of videos — the reach of Project 562 is incalculable, and growing. Matika is the messenger carrying and telling these stories as she walks the path her ancestors fought to pave. She believes her work is their answered prayers. Wednesday July 19, 2017. Day 3 of Canoe Journey. 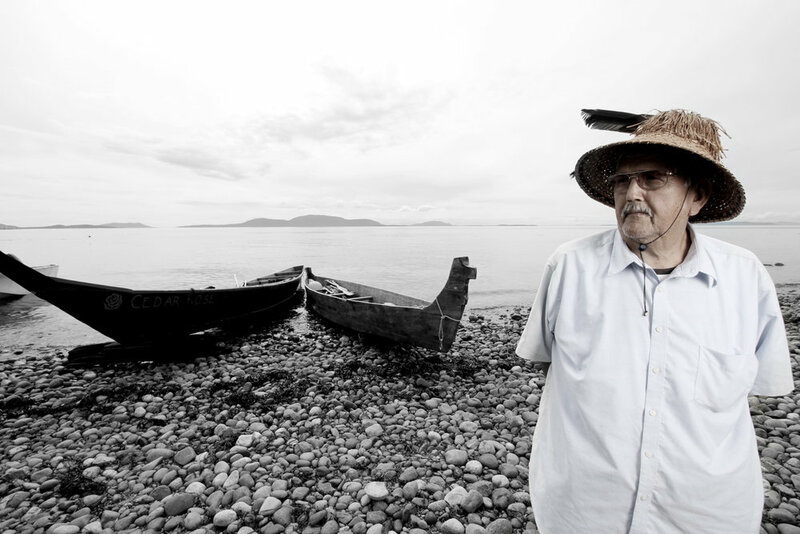 We acknowledge that the canoe journey is not an only an act of revolution, but instead a call for transformation. As we spend full days immersed in the water, waking with the tide, pulling in synchronicity with it’s flow, and feeling it’s ebb, we can also feel it’s suffering.